Discontinued Model: Limited qty available in stock. REG Price: $1109; ON CLEARANCE FOR $799. Punctuate the style of any room with the COMMA tables. With a unique shape that will make anyone pause, this collection is a versatile choice for a variety of settings. 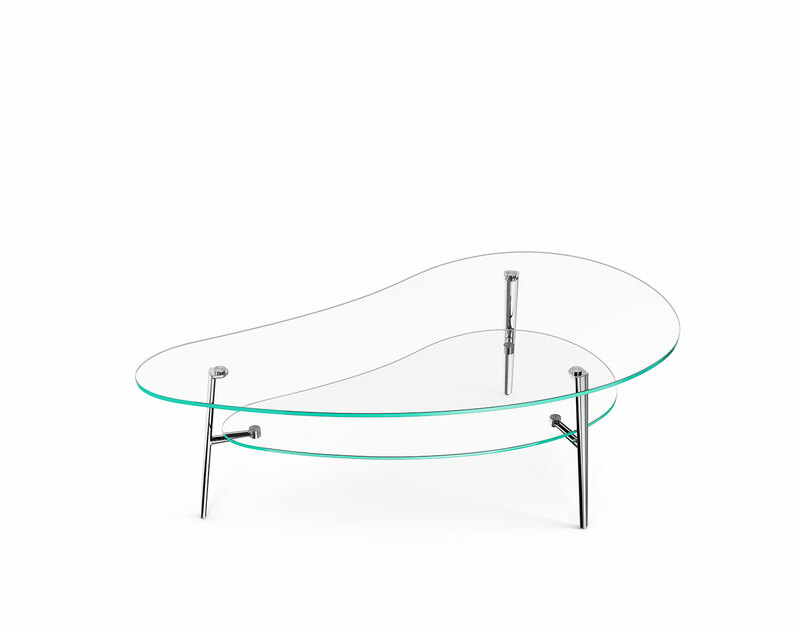 COMMA features a clear glass top secured to die-cast polished or black aluminum legs creating two distinct looks. *This table series has been discontinued by BDI. Limited quantity in stock. 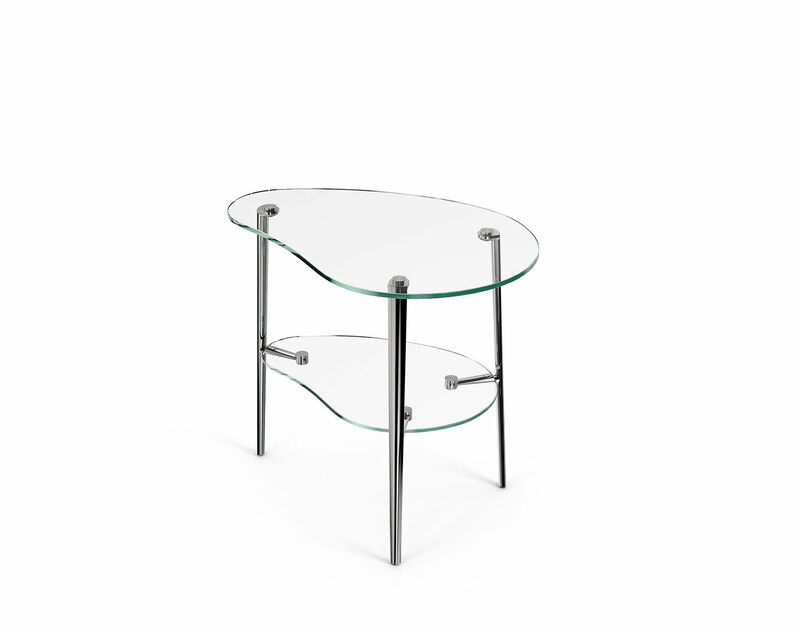 Coffee table and side table available with clear glass top and shelf.